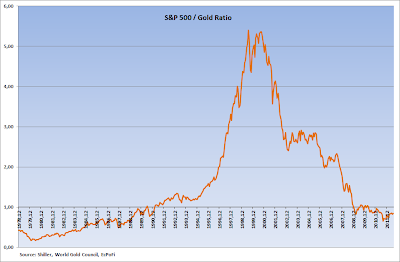 In this post the S&P 500 composite index to Gold ratio is calculated monthly based on data from Professor Robert Shiller's home page and The World Gold Council. 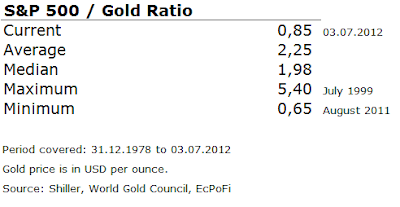 The gold price is measured in USD per ounce. As of 03.07.2012 the ratio is 0.85. This is substantially lower than both the average and median based on data starting in December 1978. As explained in the commentary on this ratio last month, if nothing else, the ratio can perhaps at least be used to avoid investing in shares when the S&P 500 index is substantially higher than gold as it was in 1999-2000. 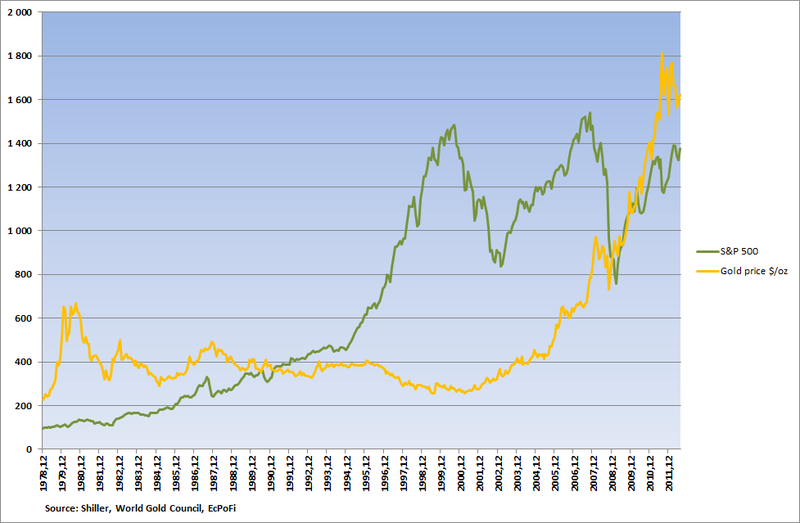 Currently the share index, in a historical perspective, is not expensive compared to gold as the ratio is much lower than average. 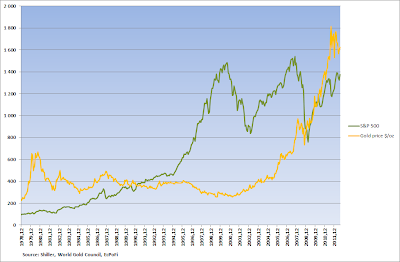 Remember though that the gold price is currently high in a historical perspective (if looking at nominal values that is) which depresses the ratio somewhat and that included in the average is the spike (overvaluation) of equities during the internett bubble (1999-2000).